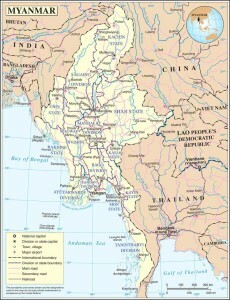 (International Christian Concern) – Gospel for Asia (GFA), a ministry that has been serving the least of these in Asia since 1979, has issued an urgent prayer appeal on behalf of one of its field-partner workers who was abducted at gunpoint in Myanmar. On January 19, five people forced Pastor Tun Nu to leave his home at gunpoint in the country’s western Sittwe District in Rakhine State. Pastor Tun Nu has been serving this troublesome area with one of GFA’s field partners. The kidnappers told Pastor Tun that their leader, who is part of an armed rebel group, wanted to question him. The incident was reported to local officials who have not been able to locate him. Pastor Tun’s wife, local church members, and regional church leaders have been unsuccessful in determining his whereabouts.